When I go somewhere to photograph, I’ll usually take with me a number of different cameras. My Hasselblad is of course always with me, often together with one or two pinhole cameras and any small point-and-shoot, usually an LC-A. 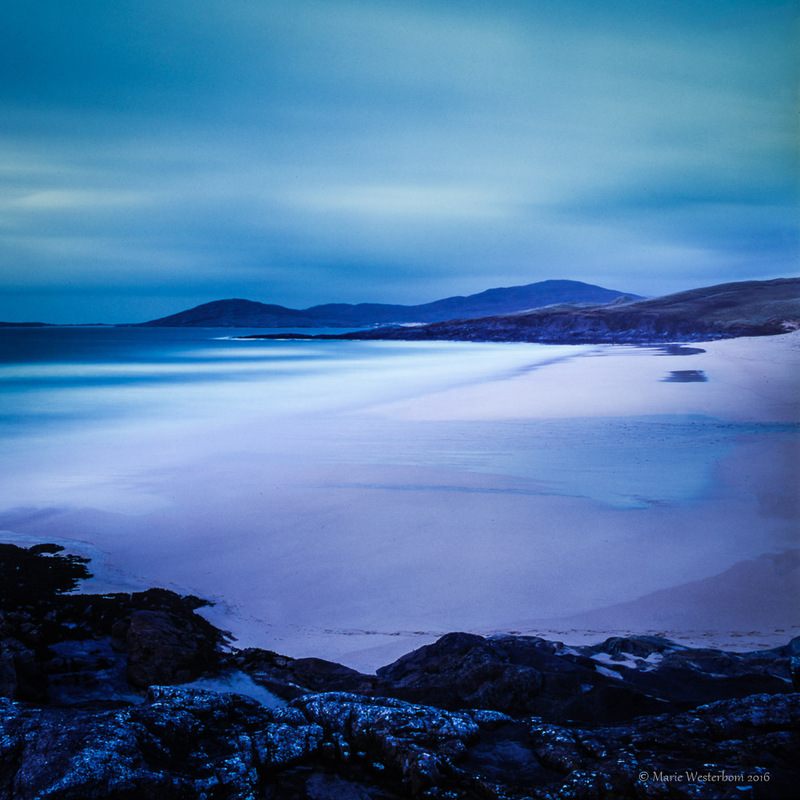 In November -15 when I was going to Isle of Harris in Scotland, I was eager to simplify and only take three pinhole cameras with me. But I became coward and did not dare go without my trusty old Hasselblad…..
Back home, when I developed all the films, both Fuji Velvia that was my choice for colour, and the different black and white films, I found that I only cared about the pinhole images. All images were taken with long exposure times, pinhole images naturally becomes that because of the type of camera, and the Hasselblad images because I use Lee filters of different density to reach the long exposure that I need to get the expression I want. But my Hasselblad images looked so boring compared to my pinhole images …. So they stayed in the drawer …..
Now in late summer, after a very busy spring with relocation and other things that filled my time, I found the almost forgotten films that I first didn’t like. And again the analogue process have done wonders for me! Elapsed time has released my emotional attachment to the moment of capture, and I can look more objectively at my images. Guess if I was surprised when I found that I just love almost twenty of those I first rejected! 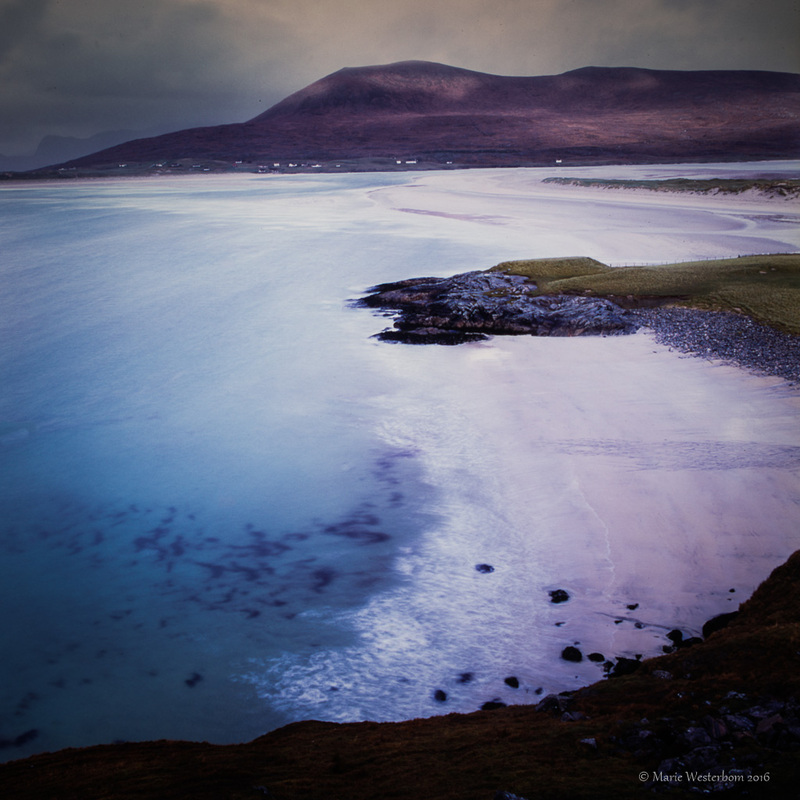 So now I’ve made a gallery with images from my trip to Isle of Harris in the Outer Hebrides. All images are taken with my Hasselblad and Fuji Velvia. Black and white images and pinhole images can be found here, here, here and here. A beautiful set of images….. And well worth waiting for. Beautiful! Especially the top one, the colour and feel is sublime. Lovely blue, I love these photos, they are so peaceful, I don´t know the right word in English, but I mean that the photos make my mind peaceful. Thank you very much! I know exactly what you mean, and I must say I feel the same. 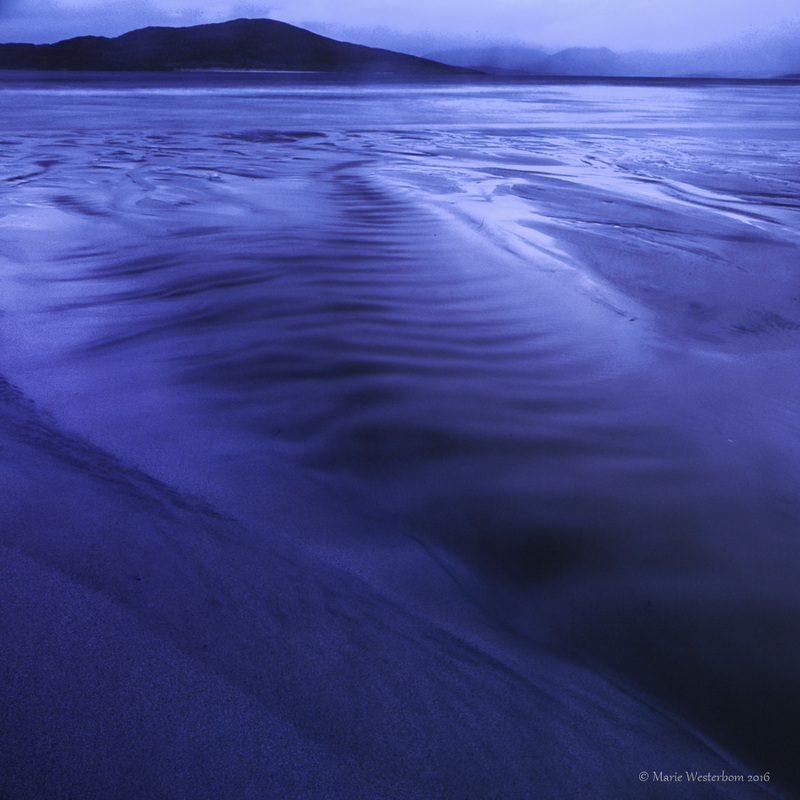 This place, Isle of Harris made me feel very peaceful in my mind, and I guess it reflects in my images. No, it’s a very trusty piece of equipment! Gorgeous, absolutely gorgeous, Marie. I can’t wait to see the Hebrides myself. We’re going next May and I love what I see from the Harris. It’s on the list. 🙂 I’ve just got my first Lee filters and I look forward to experimenting. I think you’ll find Harris absolutely gorgeous! I got a very serene feeling for the powers of nature when I was there. If I’m lucky, it shows in my images not just to me, but even to others. That was the feeling I was trying to share. Always a joy Marie to see such wonderful work and I have to say it was so worth the wait. Gorgeous pinhole images and quite inspiring.